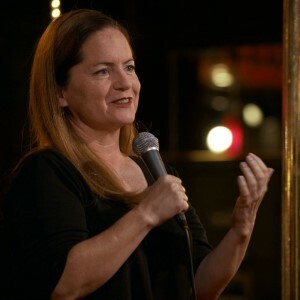 Martha Kelly (@MarthaKelly3) takes a break from filming Baskets to talk to the ladies about Austin hangouts, the horrors of being a teen in the 80s, and her love of Starbucks Sugar-Free Cinnamon Dolce Syrup. They also discuss putting leashes on cats, orgies, and whether or not Tess should join Scientology. They answer a lady problem about how to help a friend in an abusive and controlling relationship. Get a perfect-fitting bra with Third Love! Check out www.ThirdLove.com/LADY to get 15% off of your first order. Marths plays “Martha Brooks” on the FX show “Baskets” and performs stand-up comedy on the road and in her hometown of Austin, TX. You can catch her this year on her No Refunds Comedy Tour.